With so many choices how do you choose and which one is best for you. All the treatments injure the skin just enough to start the natural healing process. 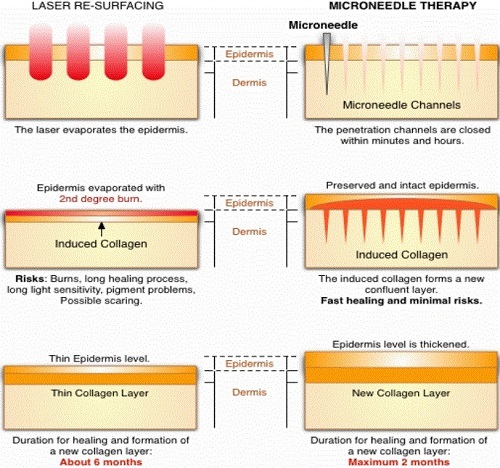 Here is a quick look at the basic tried and tested and the new state of the art treatments. Botox is a muscle relaxant. It is injected into the muscles of your face where the wrinkles are. It is usually used on your forehead to smooth out the frown lines. Also the lines around your eyes (crow feet) and can be used on your chin. It is good for the neck to get rid of the lines there. It takes a few days to settle in and you may need to go back for a top up within about five days and the top ups should be free of charge. It can last from about three to six months and wears off gradually. Botox is over 25 years old and is now used for many medical conditions. Because the Botulinum toxins cause paralysis it has been used for eye spasms and cerebral palsy. It is also used for excessive sweating. I have heard that it is good for migraine, arthritis, joint or back pain and incontinence. There have been mistakes when Botox has been administered by untrained people and if injected into the wrong area on your face it has been known to cause a droop as it does paralyse the muscles to stop them working which is why you can’t frown after you have had it in your forehead. Fillers are injectable and are used to plump out laughter lines and lips. The time they last seems to differ among patients. Some people I know who have had them say it lasts up to two years and others have said longer and some have said they are not sure. A good doctor will make sure you have no bruising but I have seen lots of people who have had horrible bruises that last up to ten days. Lots of people are talking about this face lift that inserts a thread into your face and lifts it up. It sounds like the old Hollywood leading ladies who used tape at the side of their faces and held it up behind their ears. I think it sounds weird and I wouldn’t like it but for those of you who might want to think about it here are the facts. V Soft Lift, a threading technique using PDO threads, is now available in the UK through Medical Aesthetic Supplies Ltd. PDO threads originate from Korea, where the V Soft Lift technique was first developed, with the aim of changing the classical oriental round face into a more western V shape, which is commonly perceived to be more attractive in Korea. Unlike PLA threads, which use cones and ratchets to hook to the tissue, the manufacturers claim that PDO works by creating new collagen around the thread. The treatment protocol for the V Soft Lift, which has been developed by the Swedish Inject Academy, involves creating a mesh of PDO threads throughout the area to be treated in order to form a network of supporting fibres and new collagen. The thread is a single monofilament thread with a slight spiralling motion. There are two thicknesses; a 5.0 thread mounted on a 27G x 50mm needle and a 6.0 thread mounted on a 29G x 20mm needle. A treatment takes between 30 and 60 minutes, and results can allegedly be seen immediately, although it will take around three months to see the full effect. 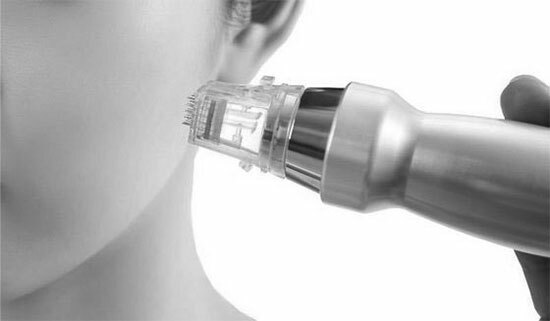 This treatment is a face lifting technology using the power of gentle yet powerful micro-focussed ultrasound to lift not just the skin but also the deep muscle layer underneath, which previously was reached by surgical facelifts. The Ultralift treatment uses the safe, time-tested energy of ultrasound focusing the energy to stimulate the deep structural support layers of the skin, including those typically addressed in a surgical facelift, without disturbing the surface of the skin. The Ultralift treatment will stimulate the growth of new collagen over time, to gradually strengthen and tone your skin from within. During the Ultralift treatment, warm pulses of ultrasound energy are delivered deep under the skin, causing the muscle layer to contract. At the same time, the gentle heat also encourages the healthy, natural process of rejuvenation, stimulating your skin to produce its own fresh new collagen, making skin firmer, brighter and more elastic. In less than an hour you can go about your day after a single Ultralift procedure to tighter, firmer better fitting skin. You may notice a short-term boost but the natural process of creating new, more elastic-collagen builds over time. A small amount of blood is taken from the patient and then placed into a centrifuge which spins around and separates the platelets from the blood components. It is then re-injected back into the patient. There have been many clinical studies and it seems that if you inject young blood into elderly mice they get younger and vice versa and studies are being done in regard to dementia. This treatment is to reduce facial wrinkles, lines, scars and some irregularities by using pulsating beams of light. This removes skin layer by layer. It is very important that you investigate fully before you have this procedure as I’m still not sure if it is suitable for all skin types. These are quite new technologies and they do not remove the top layer of skin. They are quite expensive and every skin seems to react differently to them. This involves an electric device with a rotating metal wheel or a wire brush to remove the top layers of the skin. I do not recommend this at all. This is a milder peeling treatment which is much more gentle than Dermabrasion and uses a stream of crystals or a wand or pen. It exfoliates the skin. You can buy these for use at home but the results will not be as effective. Like Dermabrasion it uses a mild acid solution instead of a wire brush or wheel to get the same effect. I do not recommend this at all.